There are so many of us out there. Aspiring authors, bloggers (whether established or beginning), industry peeps, even published authors, all of whom want to build their online platforms. We write insightful posts and articles, actively blog within the blogosphere, take part in challenges, competitions, and contests galore. We have the passion and the drive to make it, but…we could all do with a bit of support. So I started thinking. What if we link all these people together? What if we create a way to meet people in a similar position, people who genuinely want to help build our online platform while at the same time building theirs? People who want to pay it forward in the spirit of writerly writerness and blogging beautificity (and see it come back to them in turn). And so, my Writers’ Platform-Building Campaign was born. Basically, the Campaign is a way to link those of us in the writing community together with the aim of helping to build our online platforms. The Campaigners are all bloggers in a similar position, who genuinely want to pay it forward, make connections and friends within the writing community, and help build each others' online platforms while at the same time building theirs. As the Campaign kicks off, you'll have the names and blog addresses of the Campaigners on my List of Campaigners page (above), so you can keep in touch with the other Campaigners. That way you’ll have a list of bloggers in the same position as you, who genuinely want to help you succeed. And you'll be able to meet those who have the most in common with you. You can visit their blogs and other places they haunt, follow along, leave comments galore, and share your highs and lows as you journey through the blogosphere and build your online platform. And they'll be doing the same for you. If you want to find out a bit more about past Campaigns, check out the info I've included here. This year I have a fantastic group of people who've volunteered to help me out with the Campaign. For the Fourth Campaign, the core Campaign Team comprises myself, Michael Offutt, K.T. Hanna, Ozlem Yikici, and Steph Schmidt, and others will be helping us out in other respects too. I'd love it if you could make your way around and follow all these awesome people, and maybe even leave a comment to say thanks for their time and effort. I'll be including all the fabulous volunteers' links in relevant posts as the Campaign progresses. This Fourth Campaign will be a mini-Campaign, and will run from today until Saturday, March 17, 2012. The List of Campaigners will close on Wednesday, February 15th, so make sure you sign up before then. The First Campaigner Challenge will begin on Monday, February 20th and end on Saturday, February 25th. The Second Campaigner Challenge will begin on Monday, March 5th and end on Saturday, March 10th. I'll be running the two Campaigner Challenges I mentioned above. each Friday I'll post a Campaigner Notice-Board, where you can announce blogfests, book launches, things you'd like to share with your other Campaigners, etc etc. You'll need to send me the information in advance, and I've made up a form to make things easier. If you want me to include your details in this Friday's post (February 10th), please fill out this form. there will be lots of Twitter-talk at #writecampaign, so make sure you jump in and take part to meet, get to know, and encourage your fellow Campaigners. As this is a mini-Campaign, these are the only organized Campaign events. As always, it's up to you how involved you want to be. As in the Third Campaign, I'm also asking for people who'd like to volunteer to judge the Campaigner Challenges and/or donate a prize (you can tell me your preference in the form I'll be asking you to fill out below). and fill out this form. follow some or all of the Campaigners in your Campaigner Group(s) (and others if you wish). Due to the size of the Campaign, there's no need to follow all Campaigners!!! 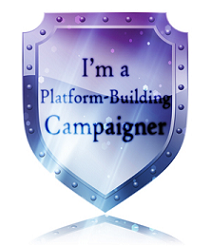 join in my Campaigner Challenges if you wish (you don't have to, of course). They're a great way to get to know other Campaigners and have fun at the same time. Can't wait to see you all on board! oh wow, it's happening again! How cool! It's such a great campaign. Can't wait to participate again! Can't wait to participate again this year. Always great fun. I've been waiting for this since last year! And I even blogged about it last Wednesday! I can't wait to meet all you really cool people! oh def.in for another campaign - such fun! Looking forward to the challenges. Awesome! Glad you're doing this again! Thank you! I can't wait to get involved and meet the other campaigners! After seeing the platform badge on many of the blogs I follow or on ones I visit infrequently I was tempted to join. I'm so excited to participate in my first writers campaign! Thanks Rachael for hosting this again! Count me in! Wonderful! I loved participating before, so here I am, once again. YAY! This is such a great opportunity. Thanks for all you do for the writerly community!! Count me in! Yay! Super stoked to participate in this again! I'm in! Thanks to you and your team for organizing this. I'm in. This will be my second Campaign. This is going to be so much FUN! HURRAY!! I'm so glad to get to participate in this again, though I wish the mini-campaign was in the fall, because then it wouldn't interfere with NaNo prep. But oh well. This will be my second year! Count me in! Thank you for hosting this Campaign!! I cannot wait to get home tonight and spread the word!! Signed up. Will try to keep up, but with A to Z preps going on I may get sidetracked as I sure you well know how that goes. Yay! Your campaigns are great, Rachel! Unfortunately I'm running an agent contest next week w/ promos so I can't blog about it until later this week. Hope that's okay?? Definitely joining of course. I'll blog about it tomorrow as today was a blogfest thingy. Very cool - I'm in!! Hi! Goodness knows where I was last year when your Campaigns were running (on the Dark Side of the Moon probably). I'm here now, though, and I'd love to participate. Just one thing (hope you notice this) - I wrote on my form I'd be happy to help out with the first Campaign. I can't because I'm away then - but I'll help out with the second, no problem! I'm excited for a new campaign. It's great to have a blogging refresher. Ohhh... thanks so much for this... I'm a new blogger myself and want to connect with other people like me trying to have a voice in this business. You rock, Rach! I just remembered I forgot to comment here. Thanks for doing this. It's awesome! So excited to get back to campaigning! I'm in! Wow. This is amazing. One finishes and another one begins! I'm joining the fun too! I'm new to this, but it looks like fun! So, count me in. I'm in. Have heard great things about this. Can't wait to see what's in store! Hopefully, I'll see it through to the end this time. I want mainly to "meet up" with other chick lit writers. They seem to be lacking!! Count me in, signed up, done. Looking for more thriller / suspense writers on the list. Missed the last one, not going to miss the boat this time! I'm in again. :) This is a great way to network with other writers, and it's fun! So happy I found out about this on time.Count me in! I just filled out the form. The requisite blog post I wrote about it has got to be the shortest post by far I've ever written! I'm sure I'll be in a small minority again for writing historical fiction, but it's a great opportunity to network and learn about contests and bloghops. I'm in again. Thanks for sponsoring the campaigns! Looking forward to this! I'm a newbie but this sounds like so much fun! This sounds awesome! I'm in! How exciting. I can't wait to read all of these great blogs! I'm looking forward to it. This will be my first campaign. Can't wait to meet the rest of the campaigners! Great idea!! Can't wait to meet everyone! Really loved meeting all kinds of people during last year's winter campaign. Can't wait for this one. Thank you, Rachael! What a great idea. I'm glad to be on board. I'm totally in! Loved it last time I participated! Great idea. Thanks for doing this! This will be my first, but I am excited to give it a go! I'm a newbie, and looking forward to experiencing my first campaign. I think this is the second campaign I will have joined. Last time, it really brought my blog to a wider audience and introduced me to some terrific bloggers. I've been looking forward to this one for a long time! I will be joining you again! This is going to be awesome! I can't believe it is that time of year again already. Yay for the campaign! I just posted my blog post for this. Off to tweet about it. Of course I'll take part again. Just signed up. Blogged and tweeted about it. See you for the first challenge! And this would be me being a joiner. Looking forward to this again! =) Glad it's a mini this time. It'll be more manageable! 106 comments! That's amazing:) I'm new to the campaign and I'm really looking forward to participating. Yeah! Can't wait. This was such a blast last time. Count me in! Okay, I think I'm all signed up. Group 18. Woohoo! I'm here! I'm so glad you decided to run a mini-Campaign. I love these. Looking forward to getting to know everyone. Great idea. I'm definitely joining. Thanks @scottbury for the RT that alerted me. Oh goody! I missed this the first time around. Can't wait to get started on this one!! I missed the last one and I want in on this one! What a great idea! Looking forward to being involved! Super sweet! Hope I can help and glad to get in before the deadline this time around. Looking forward to the challenge. woohoo! I can't believe it's already back. I am new to this, but I have been waiting for it since last year. I am totally on board. I am not sure what all I have to do, but I will figure it out. I will post about it on Thursday-I am already committed to a blogfest post for Wed. I am super excited. Hi there! I'd love to join, a friend of mine has been talking about this campaign and has me really excited! One quick question, is it possible to follow your blog without using facebook? Thanks Rachael,I'm all signed up thanks to Tia and her post on her blog Depression Cookies! I'm in again too. Also, I'll soon contact you about the final donation for the charity eBook/book. Looks like I will be taking the plunge and joining in. Thanks for hosting this! Shall take the plunge again! I participated in the second one and it was a lot of fun. I can't wait for this one to start. I'm new to the campaign and can't wait to participate! I'm the worst at networking and promoting, so hopefully, this'll be good for me. I'll post later this week! Hi! Glad you decided to run one in Feb/March. Happy to be on board! Wow, this sounds great. Thanks for hosting! Awesome! I had a kick with it the last time, I looking forward to this round, too! Rach, this campaign is made of win. I'm in the process of signing up right now. Thanks to you and your team of volunteers! Looking forward to getting on board! I've never done something like this before, but it sounds fun, so I signed up! Hope I can keep up! *Sniff, sniff* I'll have to skip out on this one. :( On Feb. 20th, the first challenge, I'll be on the operating table having spine surgery. No worries, I have one of the best neuro surgeons on board! I will definitely miss everyone and hope it's a blast! For anyone contemplating joining in, go for it!!! You won't be disappointed! I'm in!!! trying to join the site, but I think you've got too much traffic! I joined during the last campaign and it was awesome. Made so many new friends. Thanks so much Rachael! Hi, I'm joining the campaign. It sounds great. Looking foward to joining the campaign and meeting new people! I've heard great things about this campaign and look forward to participating this year. I'm in! Sounds like a fabulous idea! And back in! Thanks for organizing again! I'm excited! Been meaning to do this all the previous times, and keep missing it. Posting on my blog this weekend! I'm a little late out of the starting blocks, but here I am. I've been looking forward to joining again this time around. I'm in! This will be my second time on the campaign trail! Woo-Hoo! This is my first time joining the campaign. I'm excited to be here! Awesome! Thanks for organizing this. I'm excited to be joining, even though I feel a little tardy to the party! I'm looking forward to meeting everyone! This is such a great idea! I'm in! So excited to join in this time around! Awesome! I've been waiting for this :) I'm in. I enjoyed this last time. looking forward to it again. Better late than never -- I'm jumping in! Hi Rachael! I'm happily participating again. Hi! Nice to meet y'all. Will be joining you guys in this campaign! I'm a newbie, so guide me! I'm very happy that there's a new Campaign! I'm going to try. My blog's mixed: Alaska weather, reviews, quotes, a bit of background for my SF novels, science and health posts (I'm a retired scientist) and six sentence Sunday. I applaud your efforts. I'm only sorry that I can't become actively involved, due to other commitments. Good luck. I'll try!! It sounds exciting and like a great way to get to know other bloggers!! I've never done this before, but I'm excited to be a part of it! Great!!! I love "meeting" new bloggers! I'm excited to be a part of this! I'm in (for the first time), exciting! I'm All In!!! Can't wait to get to know everyone!! Mythic Scribes is on board for this campaign! I write YA Horror, Dark Fantasy, and Psychological Thrillers, and spend my day imagining evil plot twists and psychotic characters. When I'm not thinking up ways to make you squirm, you'll find me blogging up a storm (with the occasional Twitter and Facebook foray as well), planning for my next Campaign, wondering whether to make Write Hope a permanent fundraiser for charity, counting down the days to the next WriteOnCon, and diving into another round of critiques with my CPs. 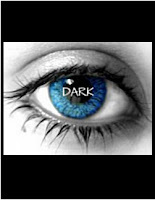 Sixteen-year-old Sydney Price is blinded by the radical group Dark, who demand that she betray her scientist brother if she wants to save his life. When to hit the rooftops with Huzzah! Heather is looking for Adult Fiction Interns! This is a test. This is only a test. Beeeeeeeeeeeeeeeep. THIS BLOG claims no credit for any images posted on this site unless otherwise noted. Images on this blog are copyright to their respectful owners. If there is an image appearing on this blog that belongs to you and you do not wish for it appear on this site, please E-mail with a link to said image and it will be promptly removed.